Last week, we did a wine tasting of Napa Valley wines. I had two white wines: Sauvignon Blanc and Chardonnay. Talk about two extremes...the Sauvignon Blanc was crisp with acidity, and the Chardonnay was full and buttery. I referred to this as a "California style" Chardonnay. That's probably an unfair moniker, as there are all types of Chardonnay styles in California, but I would argue that this is the style that was very popular in California. It was rich, buttery, and oaky. It is a style that some people love and some people hate. Even with our group of tasters, I'd say it was 50/50 on like and dislike. I spent a short amount of time explaining how this style is made, and thought it might need some further explanation here. First, Chardonnay is a fairly neutral grape variety. In blind tastings, it is hard to determine, as it can be manipulated into so many different forms just by the use oak versus stainless steel while fermenting. Oak can add all types of flavors depending on whether it is American Oak (sweet vanilla and coconut flavors - can be fairly pronounced) or French Oak (more subtle than American). Even the toast level can add smoke, cinnamon and clove aromas. The buttery aromas are created by a process known as Malolactic Fermentation (MLF). To understand this process, we need a little understanding of the grape. All wines are acidic, and within the grapes there are numerous acids present. Among those acids are Tartaric Acid, Malic Acid, Citric Acid, Acetic Acid, Butyric Acid, Lactic Acid, Succinic Acid, Ascorbic Acid, and Sorbic Acid. Of these, Tartaric acid is the most prevalent, but it is the Malic and Lactic that this discussion will concentrate on. Malic Acid derives its' name from the Latin for "apple" (or malum), while Lactic Acid derives its' name from the Latin for "milk" (or lactis). To visualize the differences, think green apple acidity versus yogurt acidity. Malolatic Fermentation (MLF) is not actually a fermentation, although before it was understood, it probably appeared as such. MLF often occurs after the grapes have completed their fermentation. It is a process where Malic Acid is converted to Lactic Acid. During this process, carbon dioxide is also released (simulating fermentation). MLF will occur naturally, but is now controlled by the winemaker. They will add a bacteria to the fermented juice that will start the process. You may be familiar with the bacteria, as it is common in yogurt and cheese. One of the most common is lactobacillus (some others are pediococcus and oenococcus). These bacteria convert the tart Malic Acid to the fuller, less acidic Lactic Acid, increasing the PH level, and adding the butter, or butterscotch aromas (known as diacetyl). The resulting wine is fuller, and has more mouthfeel. The resulting wine is also more stable. 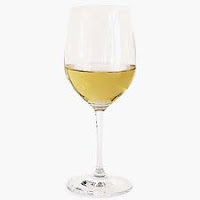 The MLF process is almost universal for red wines (sometimes avoided for red wines that are meant to be sold/drunk young, like Dolcetto and Beaujolais), but certain white wines like Chardonnay take to the process well. More acidic white wines will avoid any MLF, as the winemaker wants to retain that tart acidity, and fresh fruit aromas, that would otherwise be smothered with the buttery aromas of MLF. MLF will be done in different batches so that the winemaker can later blend the wines together, creating the preferred style for the winery. You will often hear of wines with 50% or 30% MLF....this created by blending from different tanks of wine. There is also some discussion (but no conclusion) that the bacteria used to initiate MLF might produce histamines, which affect certain sensitive people. This may (and I emphasize "may") be a cause of the red wine headaches that some people get. So, the next time you smell and taste a wine, and pick up those buttery/dairy aromas, remember MLF, and the process to get the wine to this point. Are you a fan of this style of Chardonnay? If so, what are some of your favorite wineries? At our wine tasting, we had the 2009 Trinitas Chardonnay. Some others I have enjoyed are La Crema, and Kistler. I prefer the chardonnay without any MLF, and only a little oak...just seems to go better with food. With that said you can grow chardonnay in a very cool climate and still retain its beautiful acidity even with oak ageing and MLF. Check out the Freestone Chardonnay from the Sonoma coast. True. Look at the home of Chardonnay: Burgundy, and more particularly, Chablis. Very cool region, and sharp acidity. Sonoma coast offers similar flavor profiles (without the strong minerality). Is there a way to know which chards are made using the MLF process without having to just buy it? I am of the 50% that enjoy buttery chards! Unless you know the winery, the best bet is to read the label or the shelf tag description. Any use of the words butter or cream, are signs of MLF. Usually, those wines that have fermented in only stainless steel are more likely not to have MLF, as the winemaker is trying to express the acids and fruit. Thanks. I will be honest--I thought it was the oaking that made it buttery since that was always the common denominator to me. Now I know better!! Thanks for the post and reply. Thank you for the article. I love the buttery, creamy chardonnays. One of my favorites is J. Lohr. Rombauer. Best buttery chard I have ever tasted! I like the buttery chard they are hard to find. All I have been finding are to fruit forward and higher acidity. I need to know what are some good smooth buttery chards. See some of the comments in this blog, for good examples, Also, you might try Trinitas. Rombauer.... for sure. consistently buttery chard. Rombauer is the best chardonnay I ever tasted also. I love the buttery full body taste but it is hard to find. I can find it all over. It's hard to justify the cost. Ive wanted to try this but the cost stopped me also. Perhaps I will give it a try. Frank Family Chardonnay is also buttery. Mer Soleil is the best buttery wine I've had. $35-$40 in stores. Agreed! Love this wine. We were in Victoria BC eating dinner and the description said "buttered popcorn" so we got it. Its easily in our top favorite Chards!! If you love Mer Soleil - as do I - you really must try the Rombauer. It's equally as buttery and lush, but with a surprising and mouth watering acidic finish. Just phenomenal. Another one I happened upon is LA Cetto's Private Reserve Chardonnay. Its a Mexican wine so hard to find but its buttery and delicious. Hi Jim, thanks for the short wine lesson on MLF. does the oak contribute to the buttery taste too? how does a chaddonay buttery taste in a stainless steel vs oak barrels? I have tried the Rombauer, Butter, Layer Cake, and several others that claim to be buttery, and was very disappointed. Back in the 80's we bought a lot of MLF wines - I remember Hacienda '87 in particular, and they were very creamy and smooth in the mouth, with no hint of acid or tartness in the finish. All the chards these days are crisp and tart. There are obviously people who like oaky buttery, why don't any wineries make it any more? If you like them buttery, try the Scarborough Yellow Label from the Hunter Valley. Delicious at 2-3yrs age, but even more buttery as it ages. I prefer a more natural expression of the varietal. I think Americans have pallets trained to expect the Californian overly, toasted oak, creamy Chardonnay. I realize that manipulation of a varietal can enhance it but, I think that at times this varietal is being over crafted! Do the winemakers of Burgundian Chardonnay specifically in Meursault use MLF ? The short answer is "yes". The longer answer is that Meursault Chardonnay (White Burgundy) is mainly known for their oak influence, and are considered, rounder, smoother and buttery. The amount of MLF is dependent on the winemaker's style. If you are looking for sharper, less buttery wines, check out Chablis. My latest find is Harken Chardonnay.